A revolutionary health therapy from The Salt Cave looks set to bring relief to thousands of adults and children in the West Midlands suffering with respiratory problems and allergies. “Two years ago I started having salt therapy and it made a massive difference to my life. I went for treatment a couple of times a week and after three weeks I noticed a huge improvement in my breathing"
A revolutionary health therapy from Eastern Europe looks set to bring relief to thousands of adults and children in the West Midlands suffering with respiratory problems and allergies. For the first time ever, dry aerosol halotherapy (or salt therapy)- a natural treatment which involves inhaling tiny salt particles- is available in the region. 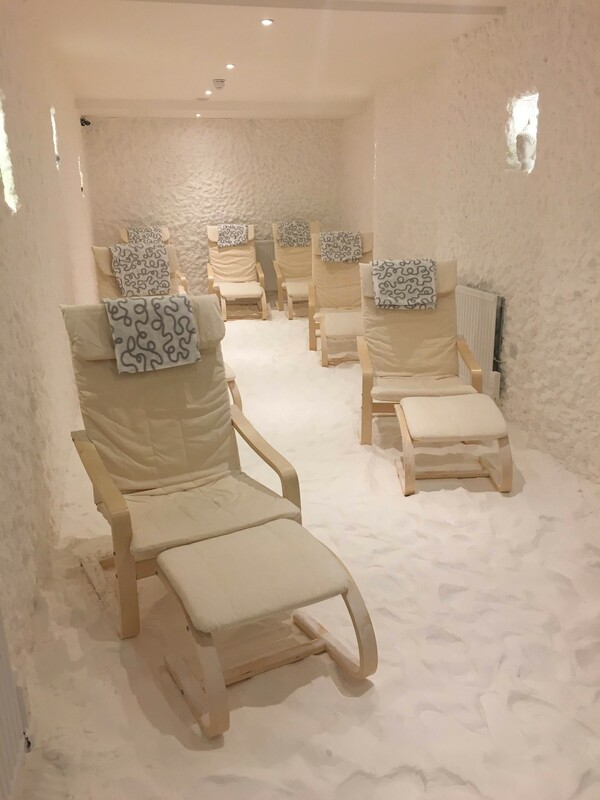 The therapy is available at The Salt Cave, a brand new asthma and allergy clinic located at The Waterfront East in Brierley Hill, near Dudley, and could benefit many thousands of people in the West Midlands and surrounding areas. The Salt Cave, which resembles an igloo inside, will be officially opened by Dudley South MP Michael Wood at 2pm on July 25. It is one of just seven Salt Caves in the UK. Halotherapy is a high-tech spin-off from speleotherapy, which involves patients spending several hours a day in subterranean caves or salt mines over a period of two or three months. The treatment is very popular in Russia and other Eastern European countries. The tiny particles of rock salt present in cave air have been shown to provide substantial benefits to patients with respiratory and skin diseases. Halotherapy provides a controlled air environment which simulates the natural salt cave microclimate and uses the antibacterial, anti-inflammatory and mucolytic properties of salt. Numerous studies carried out in Europe suggest that it is an effective drug-free treatment for asthma, chronic bronchitis, chronic obstructive pulmonary disease (COPD), sinusitis and many other respiratory and skin conditions, as well as the hereditary disorder cystic fibrosis. Just two of these conditions- asthma and COPD- together affect more than half a million people in the West Midlands, many of whom could benefit from the therapy. One advantage is that it can reduce or eliminate the need for strong medications like steroids which sometimes cause serious side effects. Salt Cave manager Zoe Ness says her health has been transformed since she started using salt therapy two years ago. “I’ve had asthma since I was a child, but four years ago I started getting frequent chest infections and was diagnosed with bronchiectasis”, she said. “I was really breathless and could barely manage to climb stairs. I was in and out of hospital on a regular basis. “Two years ago I started having salt therapy and it made a massive difference to my life. I went for treatment a couple of times a week and after three weeks I noticed a huge improvement in my breathing. “I haven’t been in hospital at all since I started salt therapy and I’ve been discharged by my consultant”. Zoe was so impressed that she decided to open a branch in the West Midlands with her partner David Hetherington, who built the cave. 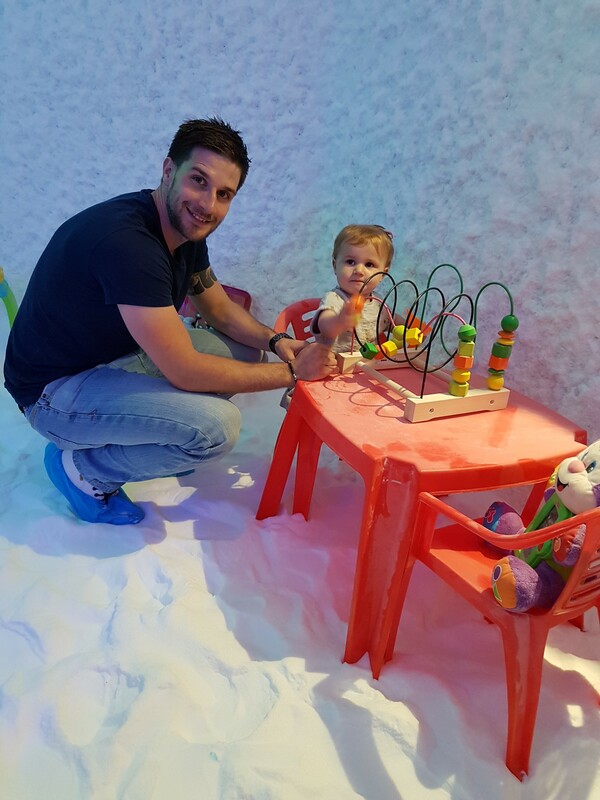 “As the nearest Salt Cave was 75 miles away in Milton Keynes, we decided to open a local branch. We wanted residents of the West Midlands and surrounding areas to have the opportunity to use salt therapy and improve their quality of life” she said. “Anyone who would like to try the therapy can contact us for a free trial session”. To book a free halotherapy treatment, contact the Salt Cave on 01384 686777. Following the official opening ceremony on July 25 at 2pm, there will be a short talk and guided tour of the Salt Cave (The clinic is located at Unit 26, The Waterfront East, Brierley Hill, West Midlands, DY5 1XJ). Representatives of the regional and local media are invited to enjoy a free one-hour treatment session, commencing at 3pm (subject to availability). Photographs of the opening ceremony will be available after the event. Pictures showing the interior of the Salt Cave are also available on request. History of the treatment: The benefits of salt therapy were noticed in Poland in the 19th century, when doctors observed that salt mine workers didn’t suffer with the same respiratory problems as the general population. The ancient Greeks also used salt therapy.